Live Green, Wear Black. : Abandoned Chanterelles! 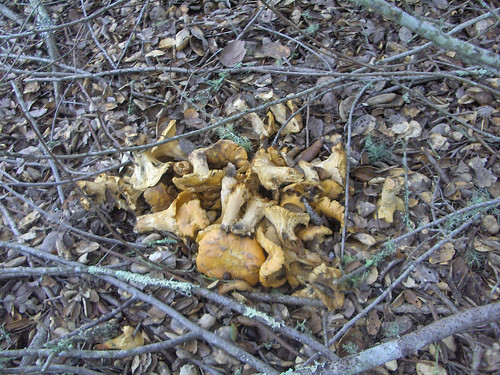 I came across this pile of chanterelles - abandoned in the woods - too late for me to salvage. I also found a knife - and I cannot for the life of me figure out why someone would dump a whole pile of chanterelles like that.